It’s that time again, Tosa. Winter is fast approaching, and we are gearing up for mugs of hot cocoa and steaming socks next to the fireplace. But first, make sure your chimney is safe and ready for action by calling your Wauwatosa chimney sweeps. Of course you want the best for your home, why not hire the chimney sweep who maintains the White House chimneys in Washington, D.C.? Know you are truly hiring the services of an expert, trusted by our Nation’s leaders. When your chimney is in need of repair, you will want to make sure it is assessed and diagnosed correctly the first time to avoid multiple repairs that can be potentially hazardous, and cost you time and money. With over 30 years in the business, Wisconsin Chimney technicians are capable of restoring your chimney and fortifying it for lasting use. Your hearth is the heart of your home, be sure to do your part by keeping it in tip-top shape with Wisconsin Chimney Technicians. Maintaining your chimney’s structural integrity can save you money over time. Don’t wait until you have a crumbling ruin in front of you, think about tuck pointing services now. Tuck pointing first removes old mortar from between the joints and then the technician will repack the spaces with fresh mortar. This maintenance will eliminate potential leaks, improve the structural integrity and freshen up the overall aesthetic of your chimney and fireplace. This preventative treatment is a quick and easy treatment to keep your chimney in good repair. If you are considering buying or selling a home, don’t overlook the chimney during your inspection process. This can be an essential step, as a feature of your home you might forget until the cold weather hits. As you start to think about lighting a fire in your hearth, think also about having your chimney inspected and cleaned. Wisconsin Chimney Technicians offer a full service chimney inspection, from visual examinations to technologically advanced interior flue video assessments. You will receive a full evaluation report, highlighting any concerns or potential safety risks. Your chimney liner must be intact for your fireplace and chimney to function properly and safely. If your chimney liner has become cracked or deteriorated, call upon the service of Wisconsin Chimney Technicians. Our Wauwatosa chimney relining service will safeguard your home from hazardous gases, embers and fire from leaking in and entering your home. As Wauwatosa Chimney Sweeps, we are experts in protecting your fireplace and keeping your safe. That’s not all we do however, we also keep your home safe by inspecting and cleaning your dryer vents. Dryer vents are often overlooked in residences and can cause a fire. As soot and creosote needs to be removed from your chimney, lint build up needs to be removed from your dryer vents. Blocked dryer vents are not only dangerous, they raise your utility bills and make it so that it takes longer for clothes to dry. 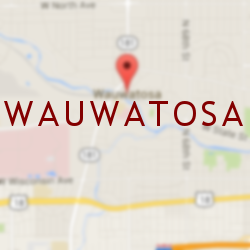 Contact your Wauwatosa chimney specialists to schedule your cleaning, repair, or other chimney and home protection services today.